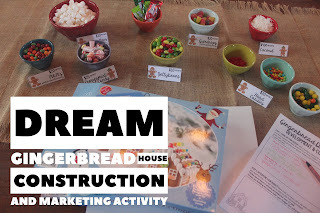 I love activities with food and opportunities for students to be creative with food. I talk about it more here. So, I am always looking for a new "competition" type activity to challenge students. I have done a Iron Kid Chef Activity and a Cupcake Competition with my students. I was super excited to come up with a new idea for a food competition. Really, it isn't a new idea. People have been making gingerbread houses for ages. But at least it is a new spin on the idea....to tie in some project based learning with the gingerbread houses! I struggled with a title. You'll notice I call this activity something different throughout the whole thing. 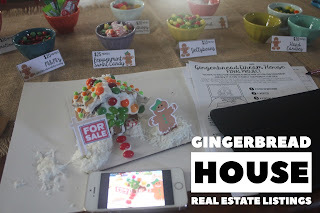 If it wasn't such a mouthful I would go with Gingerbread House Project Based Learning: Budgeting, Real Estate, and MarketingYour Dream Home! .... I still think the title could use some work.....but who cares, the kids love it either way. 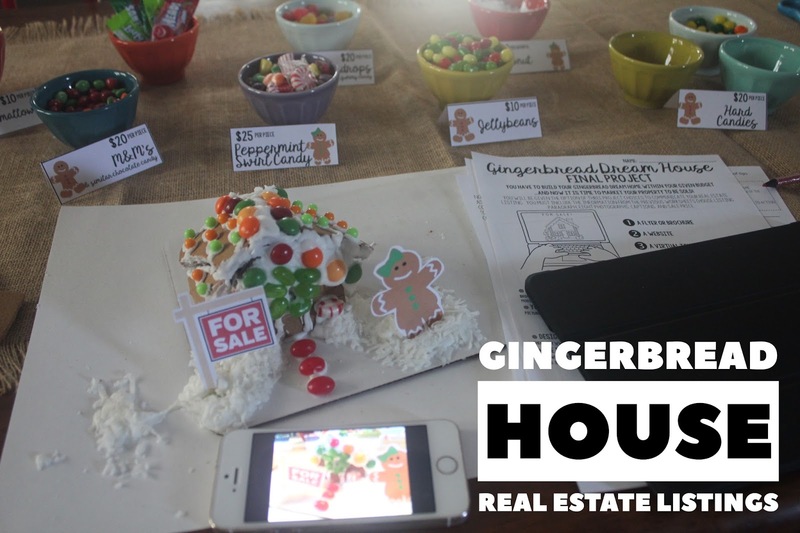 In this project based learning activity, students are given the task of building their dream gingerbread home under a budget! 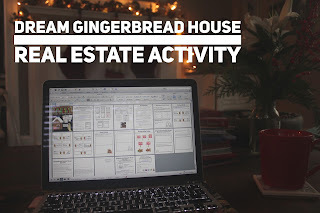 They act as developers and a construction crew, "buying" materials and building their homes.... and then real estate agents as they use informative writing to market their homes! I relied on the boxed kits from five below. They were just $5 a piece (more expensive here on amazon), so it is affordable enough to buy just a few for teams to complete them in class. 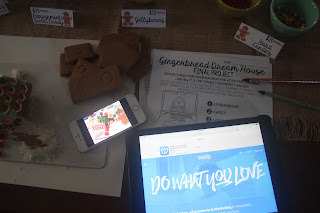 I found that they were easier because they come with all the gingerbread pieces, a cardboard sheet to stand it on, icing in a tube (!! ), and some candy. 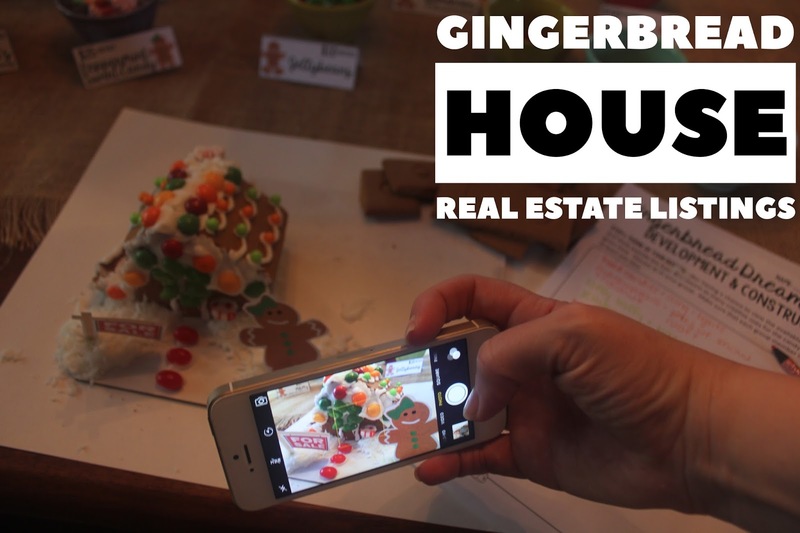 TIP: Don't get fancy, just get the classic gingerbread house. I made the mistake of buying the "Santa's workshop" version and the pieces were too small. In my opinion, the kits do not come with enough candy for this activity. In future years, I plan to ask for candy donations....but this year, I just bought some extra candy myself (as an excuse to eat it). 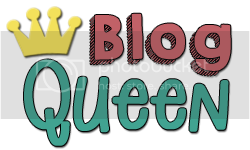 So....here are my pictures from testing it out! I made labels for all the candy with different prices (see picture above). The kids are given a set budget that they must stick to. I also will write the list of items and prices on the board so that they can see the prices from their desk. As I have done before, I will make sure to have the students do their planning before grabbing for the candy. The activity packet guides them through making decisions on their design and budget. 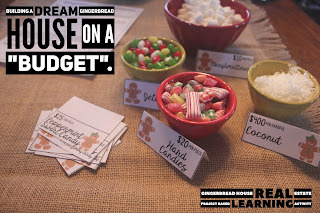 TIP: I have included a suggested budget, but this should change based on the size of the gingerbread house you will be making! If you have to make this change mid-project or see-as-you-go, just tell the kids that a construction or financing issue has come up and give them a new budget. It makes for a fun twist, anyway, and goes right along with the "real-world" learning! The kids also have to come up with a team development company name. Then it is time for the best part.....making the gingerbread house!! 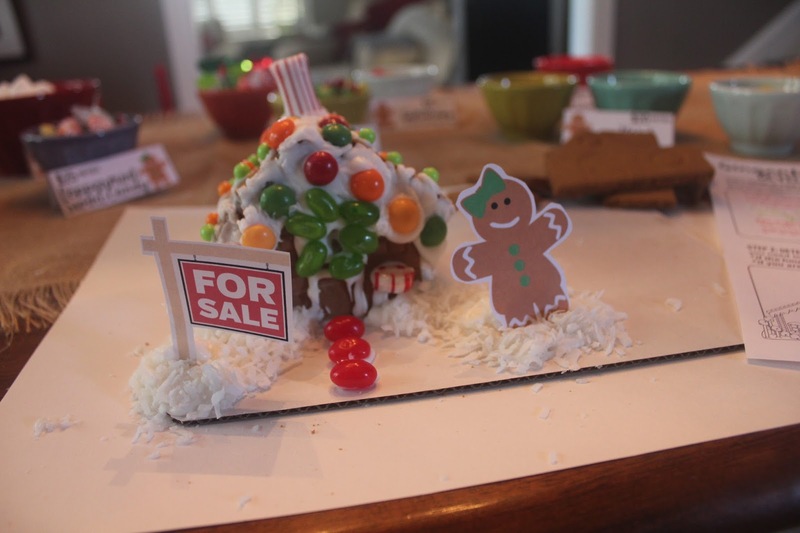 After making the house (which takes around a half an hour), it is time to market the home. The students need to get creative and make decisions about their home (price, number of rooms, bathroom, features, extras, etc. and take photographs! Most homes (all?) 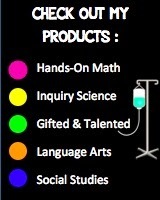 today are marketed online with pictures, so the students will be communicating their home through pictures. We used simple iPads and iPhones for taking the pictures and editing/enhancing them for the project. The students then have an option of three final projects. When most people (that I know) purchase a home, they look online first. Usually the website has great pictures of the home and sometimes the online listing is fancy and has a video promotion/virtual tour of the home. When they go to walk through the home they receive a flyer or a brochure on the home...and sometimes these are offered outside of the home in a container near the For Sale Sign. SO....this is the "real world" inspiration for the final project. Students can make one of three projects...tying in their pictures and informative/expanatory writing about their home! Above is the iPhone and iPad to show that either device can be used for the project. The iPhone was used to take the pictures and make a promotional video, and the iPad was used for picture taking and making a website. Overall, the project takes about three hours....depending on the age group you use it with. I split the project over two or three days.